Do they just want to give her the Oscar now or wait until the ceremony? 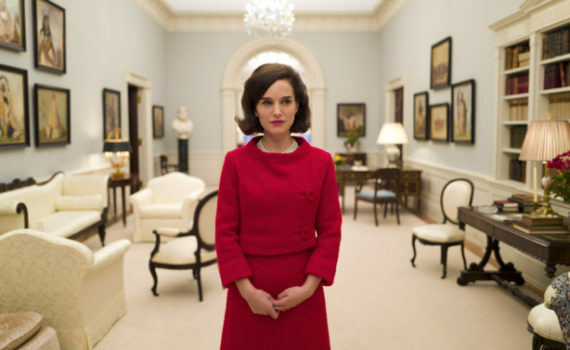 I’m not even sure she’ll be excellent, Portman is a little hit or miss, but my god has there ever been a role more tailor-made for awards, something the committee will drool over? This is a fascinating time anyway, and to look at it from Jackie O’s perspective is pretty smart. The director hasn’t had any big films so there’s some doubt there, but there’s none about the cast: Peter Sarsgaard, Greta Gerwig, John Hurt, Billy Crudup. I’m in, but I’m reserving the right to be hesitant.